Elea takes me back to a rainy winter night where my girlfriend and I decided to watch 2002’s remake of the classic sci-fi film Solaris. My girlfriend loves George Clooney, and I love a good sci-fi yarn with some thought provoking concepts. It was a match made in heaven. Or so I thought. What followed was the longest and most trying 98 minutes of our lives. Every moment of interest was weighed down by a slow and plodding plot with obvious foreshadowing and grueling scenes of nothingness, interspersed with dreamlike love sequences where two pretty people would kiss and fight. Most of the film was Clooney switching between expressions of grim and then confused. It was a slog – a slog that her and I don’t speak of ever since. Which brings me to Elea, a new title by Kyodai Ltd, that recently left Steam’s Early Access with its first episode. 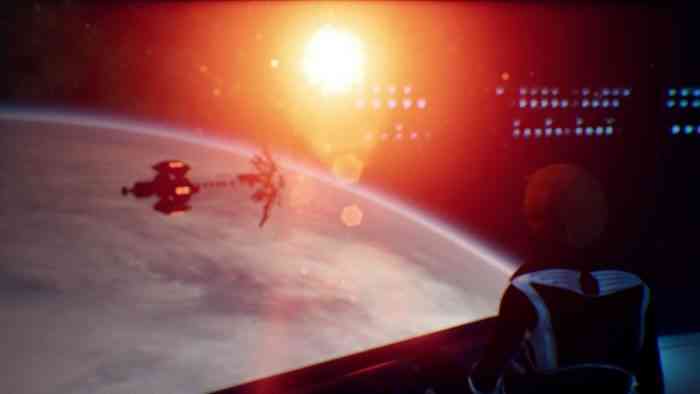 In Elea you play as the titular star, Catherine Elea Jones, a woman looking for her husband after his expedition in space went dark – a premise familiar to those who enjoy the genre. It’s what some might call a walking sim, and we’ve had some standouts in the genre in recent years, such as Gone Home and Campo Santo’s Firewatch. So Elea, like the remake of Solaris, is a game I should like. It ticks all the boxes I love in my sci-fi. Great soundtrack. Gratuitous use of neon lights and lens flares. A plot playing with the nature of reality and consciousness. And yet… for every dazzling surprise or wondrous visual spectacle I was treated to, there were nearly triple the amount of frustrations punching me in the face. And before I get into the bad and the ugly, it is worth emphasizing there is some amazing visual spectacle to behold in Elea’s first episode. It embraces weird. It then takes the weird and folds it upon itself into a weird sandwich. Finally, it folds that sandwich unto itself a few more times until you have a weird multi-layered Big-Mac, a Big Mac that you honestly have to see for yourself to believe. Honestly, if nothing else, Elea is at its best when its creators give into the insane and let loose to the point you wonder if your graphic card has melted. Also, kudos to a game that’s opening minutes lets you walk around as a pregnant woman with a smart watch in a futuristic home straight out of an Amazon Echo 2088 commercial. 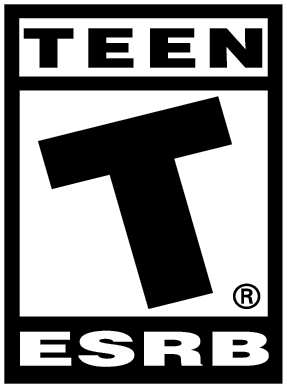 I think that’s a video game first for me. Which brings me to the first and likely the most common frustration that will make or break your experience with Elea: the walking. This game is all about walking and the walking is incredibly slow. So slow that for my entire playthrough I found myself hammering the shift key, hoping sprint would be enabled, only to be told over and over again I could not yet sprint. I get it. Women far along in their pregnancy should likely not sprint up and down stairs. But when the entire opening segment consists of me having to go up AND down stairs to repeatedly to progress the story, I started to get twitchy. Deeper into the story you will eventually be able to sprint. A momentous event! Too bad the sprint feels roughly ten percent faster than your normal walking speed. This nearly ended my patience. But I pressed onward, telling myself that nothing could out frustrate George Clooney’s clueless expressions in that turkey of a remake named Solaris. Alas, Elea makes a graver video game sin – one I haven’t seen in a long time. Without spoiling story details, there are certain conditions or interactions that must happen in order for you to progress. We’re all used to this. Elea’s problem is it does not indicate in any way which actions are necessary for you to proceed. Seemingly secondary interactions like sitting in a chair and staring out a window are sometimes the only way to unlock a door or access a menu. This might not be a problem for some people. It was for me. 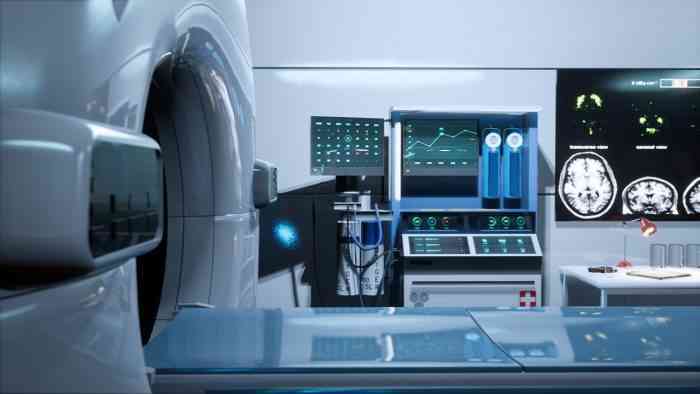 It took me nearly ten minutes of wandering around a tiny room, inspecting every coffee mug and tablet, continuously slamming the elevator button like a rabid animal until I finally sat in said chair in exhaustion. Suddenly, new dialog options opened and voila! I could now summon the elevator. No big deal if that happened once. Twice and it’s starting to grate. Three times and I’m out. This combined with the slow walking and all of the voice actors (except the main actress and A.I.) all sounding about as believable as a wood table with a microphone bring Elea back down into the gravity of 2002’s disappointing Solaris. And it’s a damn shame too. Because there are parts of Elea, if you can persevere, that are absolutely worth seeing. 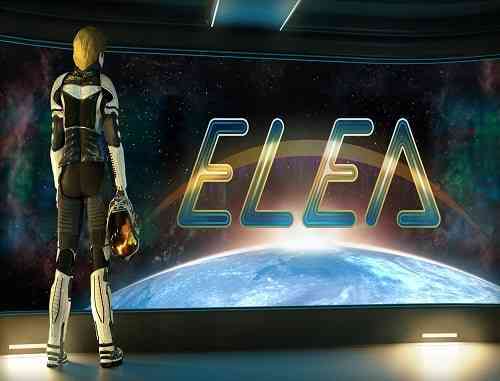 If you are an extremely patient person into this type of sci-fi, I would still recommend checking Elea out. However, if a very slow walk, questionable voice work, and obtuse interactions hindering progress sound like deal breakers for you, I recommend steering clear of Elea for now. I do hope as they continue to build on the game and release subsequent episodes, we’ll have a classic sci-fi tale on our hands and not a dopey remake starring a dumbfounded George Clooney. Only time will tell.